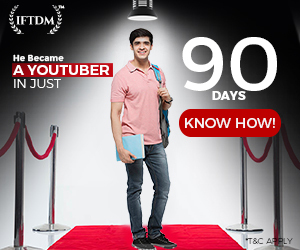 Okay now guys, iamabikerdotcom has posted a video of upcoming Hero Karizma 200 on their Instagram channel. 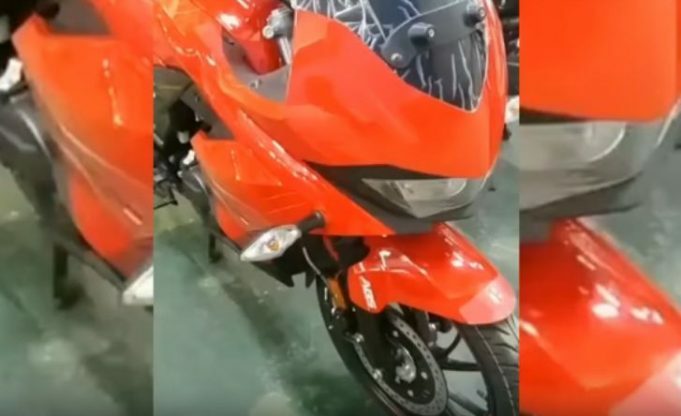 This video shows a new full faired motorcycle from the house of Hero. The motorcycle is either in a warehouse or in a dealership. 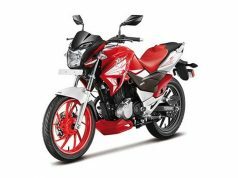 Hero Honda Karizma was a pioneer in the motorcycle industry in India when it was launched in the year 2003. When Bajaj took the mantle of the fastest bike in India with Pulsar 220F in 2009, Karizma lost its charm. 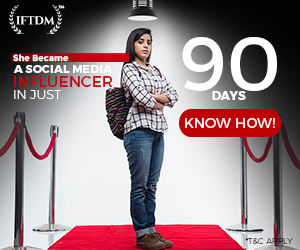 Later when Hero separated from Honda and gone solo, Karima twins were updated. The updates were done in 2014 and they were so bad, that no one bothered to look at them. 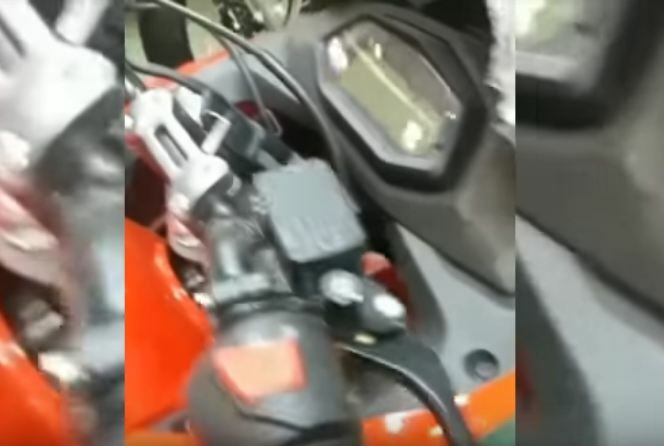 Now, this video has surfaced and we have a brief look at the bike. 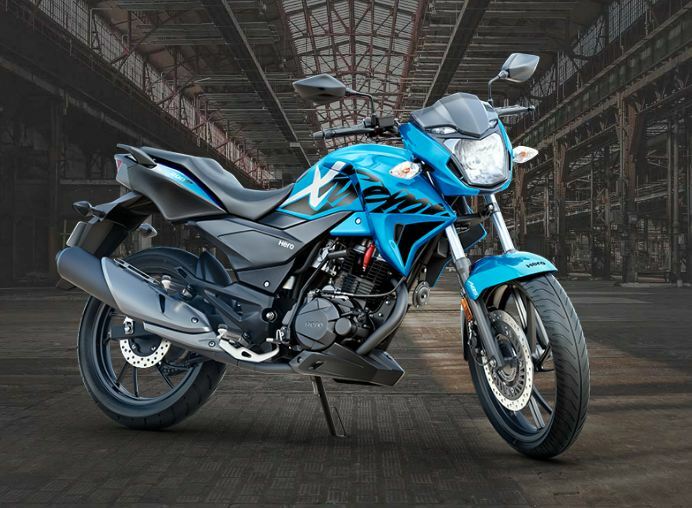 As you can see, the new Hero Karizma 200 or whatever its name will be, is a fully faired motorcycle. The bike is painted in a bright red color. In terms of design, the bike is not looking that exciting. The headlight seems to be a single piece like the one in old Ninja 250R. The periphery of the headlight is blacked out. From this point, we can see that the exhaust muffler is the same as that of Xtreme 200R. I bet, the complete powertrain will be lifted straight from current Xtreme 200R. Handlebars are basic tubed one and are not Clip-ons. This means that the bike is made for touring and not for sports. 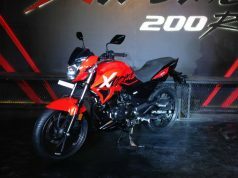 I feel that it will be named as Xtreme 200F or 200T. 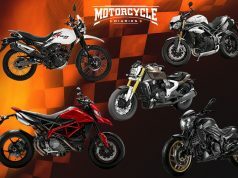 F for Fairing and T for Touring like in XPulse 200T which is projected as touring motorcycle. There is an engine kill switch on the right switchgear. The main point to look at is the instrument console. The console here is lifted from the upcoming XPulse 200 adventure motorcycle. 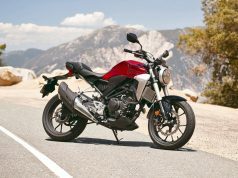 Speaking about the suspension, the bike will sport conventional telescopic forks and rear monoshock. Rest all tyres and braking will be lifted from Xtreme 200r to keep costs in check. ABS will be single channel unit. 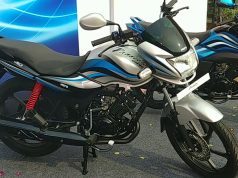 We might see the Fuel Injection system in the new Hero Karizma 200. Powering the Xtreme 200 is a 199cc air-cooled engine. This engine makes 18.4 bhp and 17.1 Newton Meters twisting force. 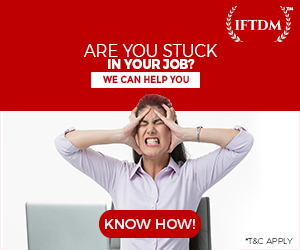 There is a 5-speed gearbox which is short and does not provide a higher top speed. 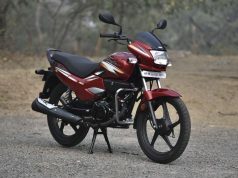 I believe that new Hero Karizma 200 will have taller gears to tackle highways with ease. 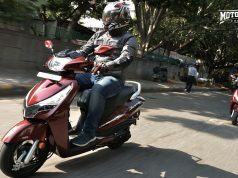 Once launched, New Hero Karizma 200 will rival the likes of Suzuki Gixxer SF, Bajaj Pulsar 220F, Honda Hornet 160R, TVS Apache 2004V as well as Pulsar 200NS. There is a high chance that Karizma 200 will be priced at Rs 1 lakh to Rs 1.1 lakh ex-showroom. 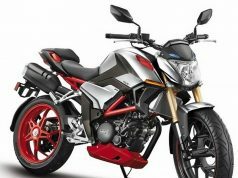 In my opinion, Hero should focus more on the performance motorcycle segment by launching a new brand. 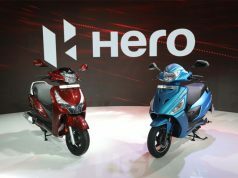 This new brand will cater to the performance bikes for Hero MotoCorp like Maruti Suzuki created a premium sales network of Nexa to sell premium cars. People look at Hero as a commuter bike maker. Let’s wait and watch how this bike will perform in the Indian market.